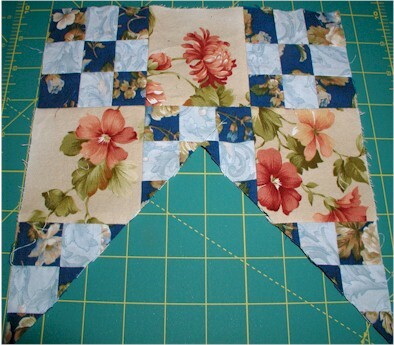 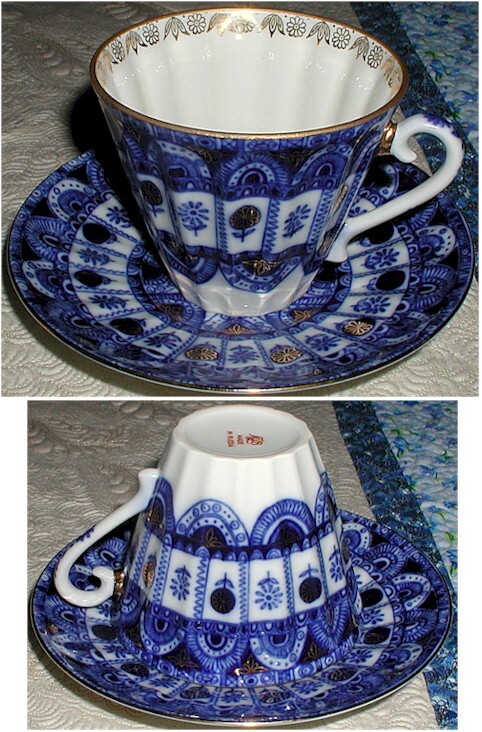 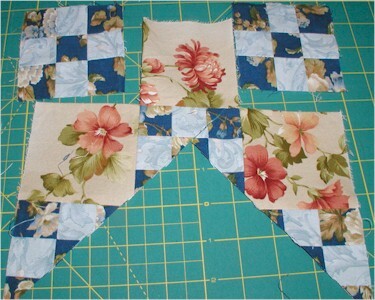 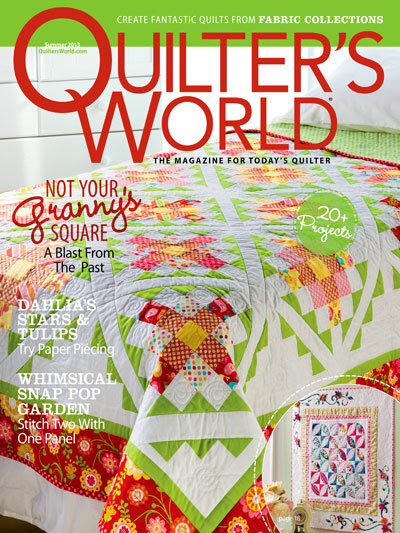 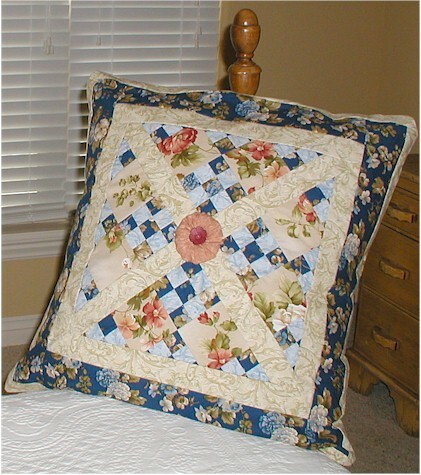 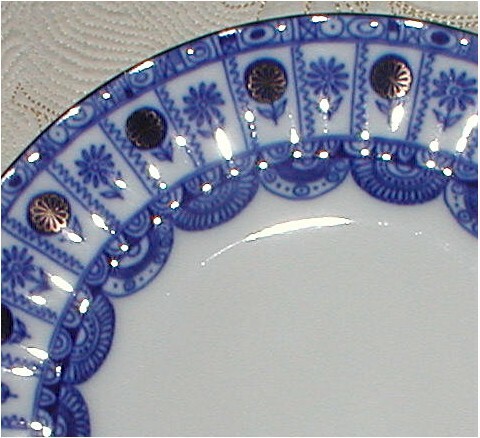 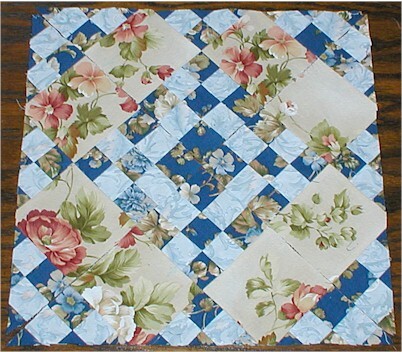 Quilting news mixed in with a smidgen o’ dish-aholism! 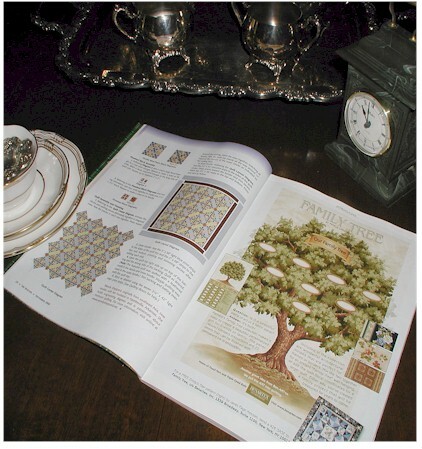 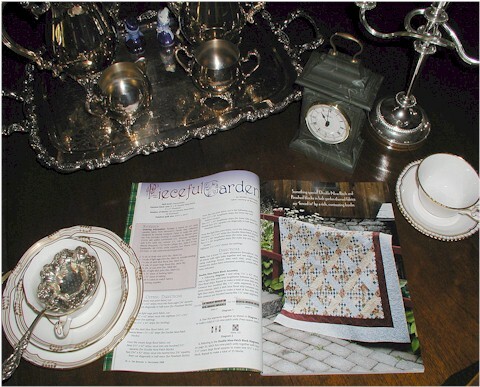 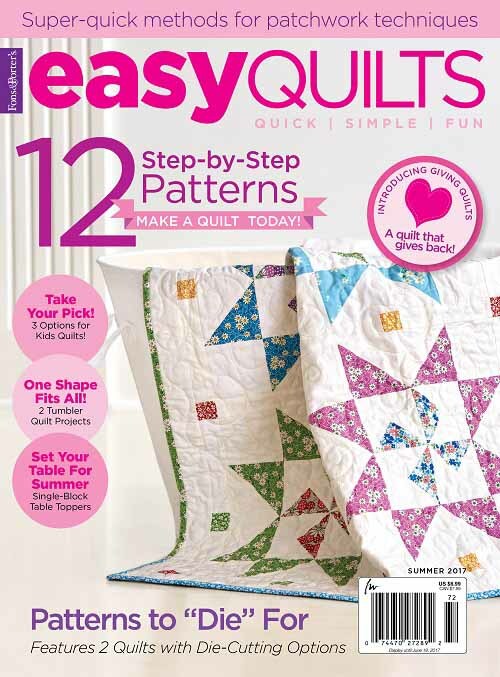 Yesterday, I received complimentary copies of the “Quilting & Embroidery” Summer Issue presented by Quiltmaker. 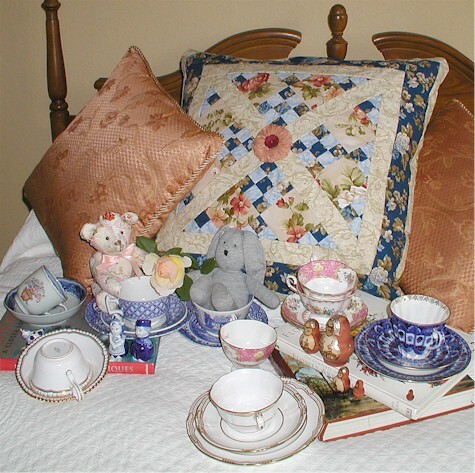 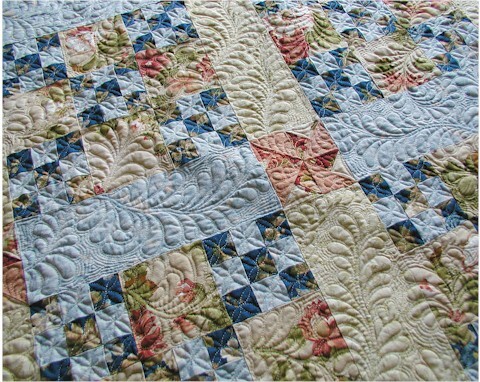 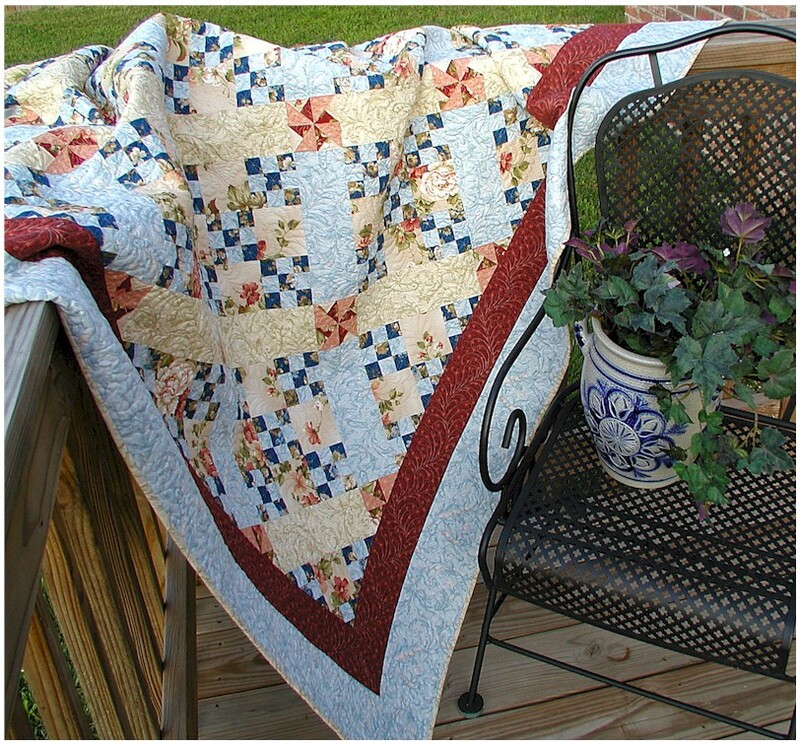 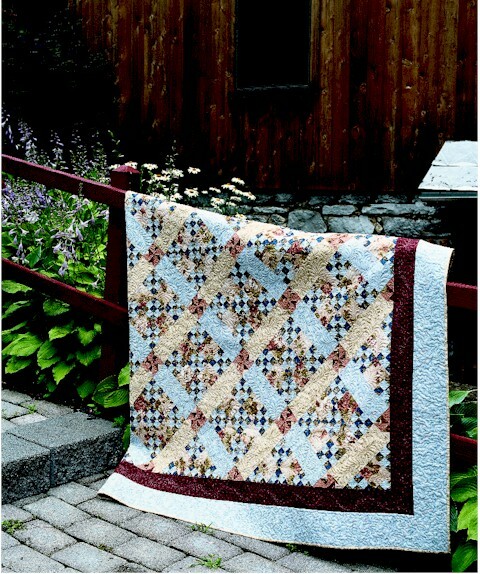 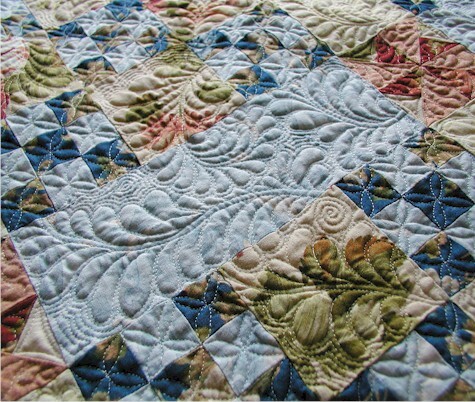 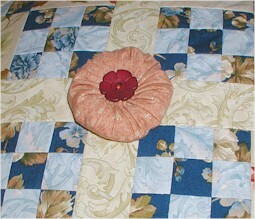 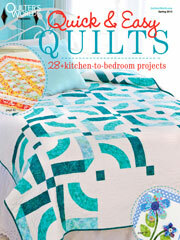 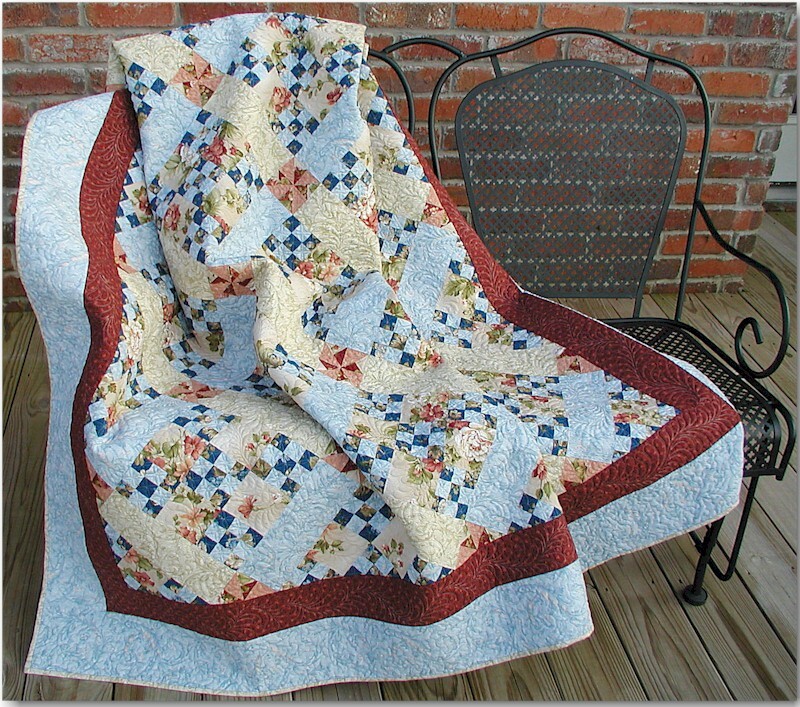 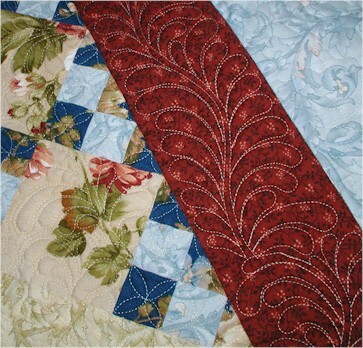 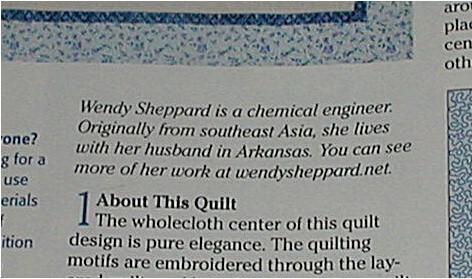 You see, the quilt after which this blog is named is included in the magazine released this month! 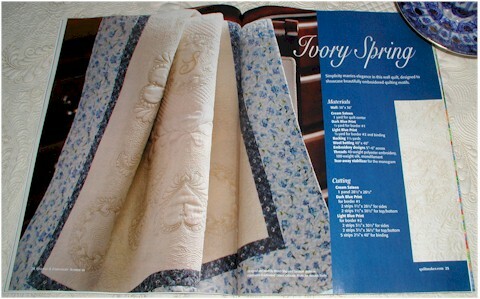 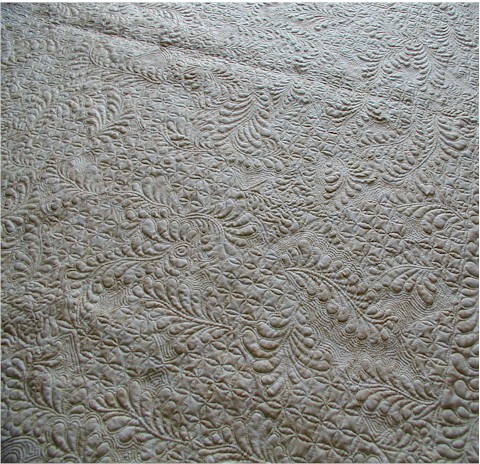 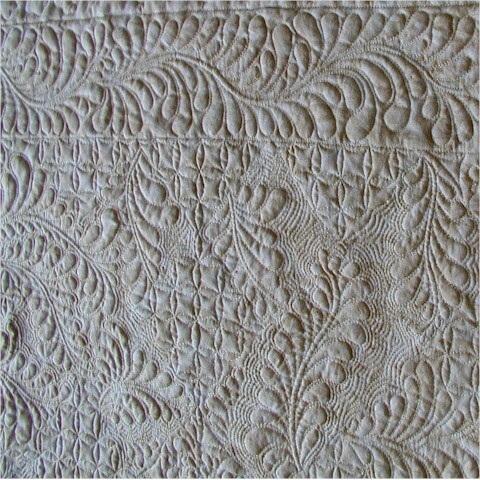 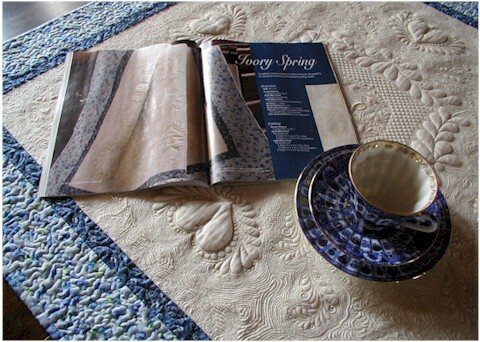 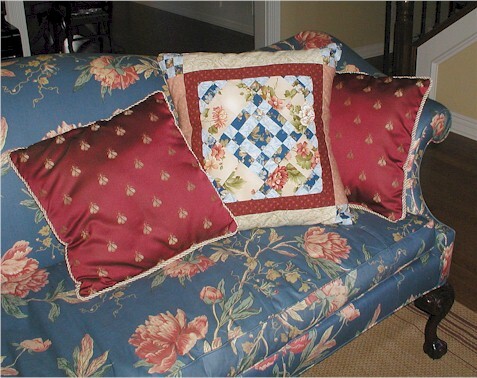 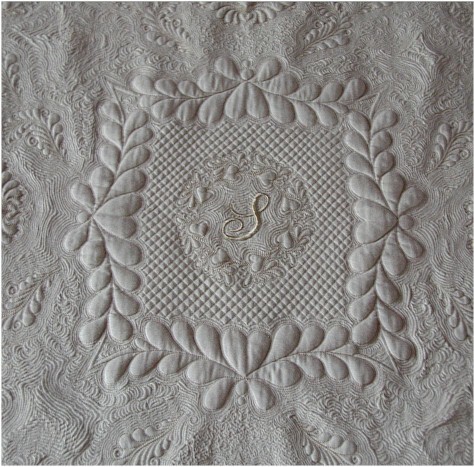 A few technical details – Ivory Spring was free-motion quilted with silk thread over wool batt! 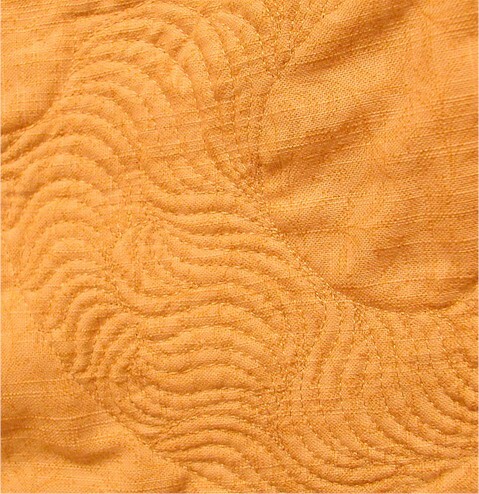 The tranpunto “effect” from using the wool batt is simply scrumptious! 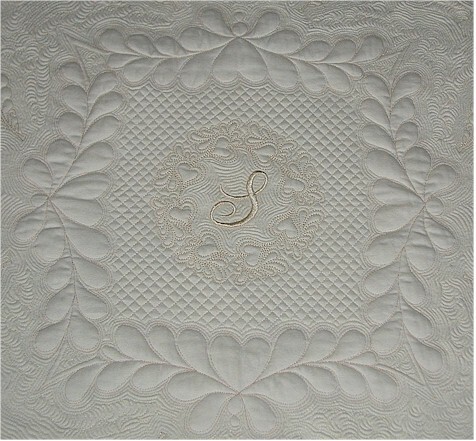 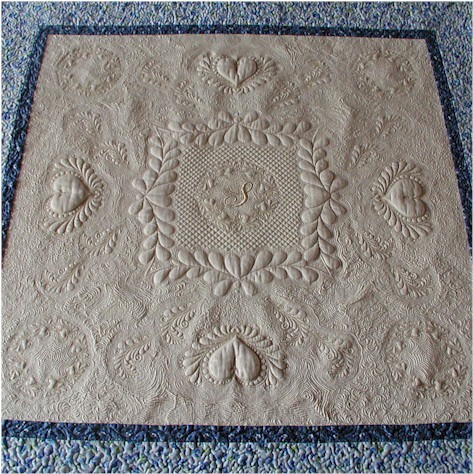 If you have never used wool batt for quilting, consider giving it a try. 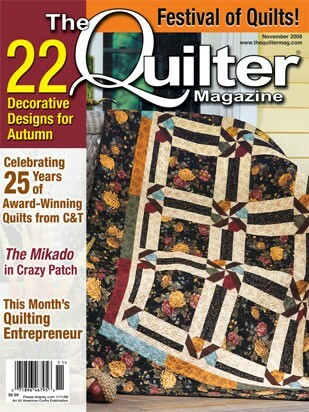 Back to “Quilting & Embroidery”… I have thoroughly enjoyed this magazine (again, thanks to the Quiltmaker staff)! 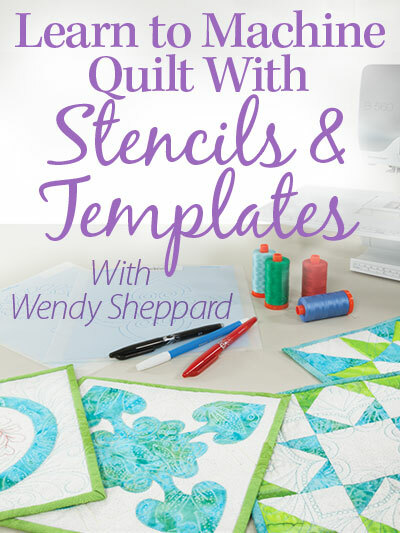 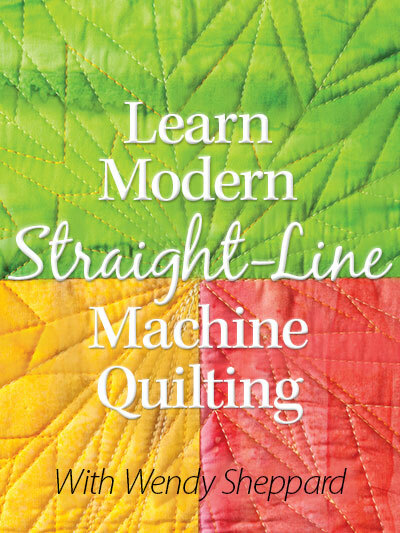 Do get a copy for yourself as a reference guide to many quilting and machine embroidery techniques. 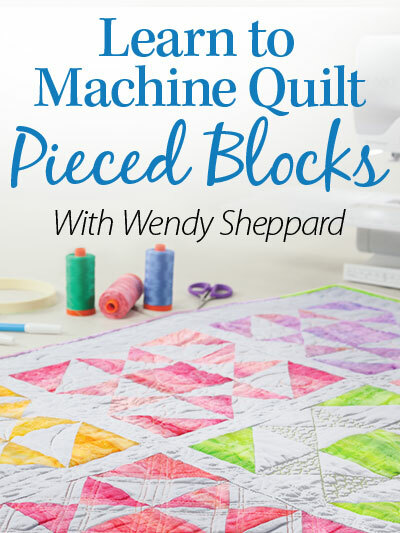 You will have loads of fun making some of the projects!